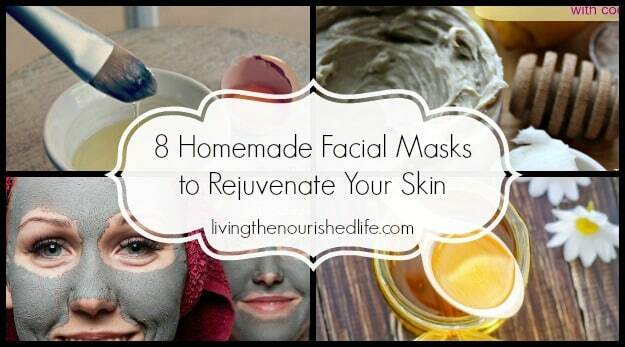 There’s nothing quite like using homemade facial masks to rejuvenate and nourish your skin. It’s like having a spa night at home, for way cheaper, with more wine and chocolate. When you’re ready to pamper your skin, don’t head to the department store–head to your kitchen! 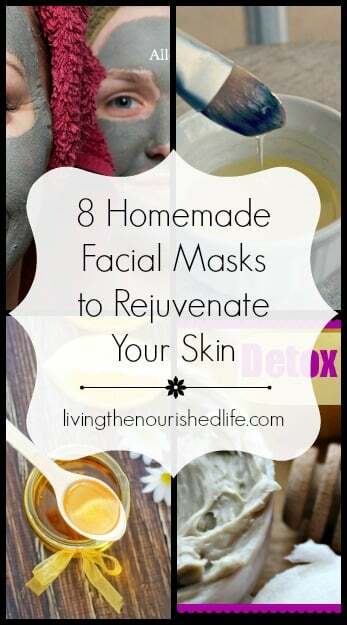 I absolutely love homemade facial masks. They’re the natural way to pamper your skin, refine pores, smooth wrinkles, and rejuvenate your skin–without the chemicals (or the pricetag!) of your typical department store products. Since making this post, I’ve created a few more great face mask recipes. Check them out! They are amazing for your skin, too: my Pumpkin Face Mask that gently exfoliates and brightens, and my Charcoal Face Mask Recipe to clear and soothe your skin. Which Facial Mask Recipe are You Going to Try First? Tell me in the comments below! Great roundup and thanks for sharing. thankful and glad sharing beaty tips…grateful..
Everything on your site is exactly what I need right at this moment. Great support for the habits I’ve been establishing. Your free guide to boosting the metabolism is EXCELLENT. So well written and nicely organized. I’m excited to put it all in place! And I keep finding more stuff I have to read or have!! Thank you Elizabeth. This will be added to my beauty routine!!!!! Great information. Can I use these home remedies for sensitive skin? Most are, but please pay attention to the ingredients in each specific recipe so you can judge if it will work with your skin or not. I tried the chocolate mask, and it was fantastic and delicious haha! I’ve always loved my DIY cocoa body butter that why when I saw your chocolate mask recipe, got so excited, and I tried it right away. It left my skin feeling smooth and silky. I intend to use this mask twice a week. Thanks for sharing! These masks are very easy-to-made and effective. They will meet my needs perfectly. Thanks for sharing! Thank you for sharing this firming and anti aging skin serum recipe. Actually, I am looking for something I can recommend mom with her anti-aging DIY skincare recipes, and this one is a good suggestion and addition to her recipes.